It’s our 1 year anniversary! We have been enjoying a long weekend away in Disney celebrating our anniversary. It’s been a blast. So so so much fun. I love to get mail. I used to have pen pals when I was younger. One was from Finland and she used to write the date D-M-Y. I loved it for some random reason. Well now without pen pals I just get bills, magazines, and some packages. I love the arrival of my monthly Studio Calico kit. 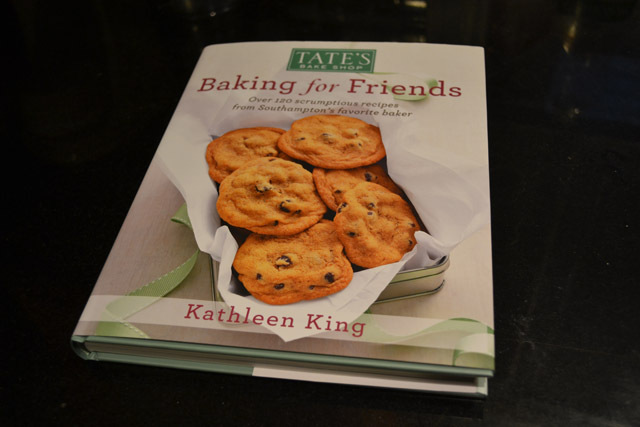 I just get so giddy with anticipation and once it gets here I love that the package holds so many creative possibilities Well, I was just as giddy for the arrival of Tate’s Bake Shop: Baking For Friends. As soon as I finished interviewing Kathleen King I bought her new book. I could not wait for it to come that I upgraded my prime and got it the next day. I just could not resist waiting to get my hands on that book. Once I was able to browse the book I got myself into some trouble picking out what to make first. 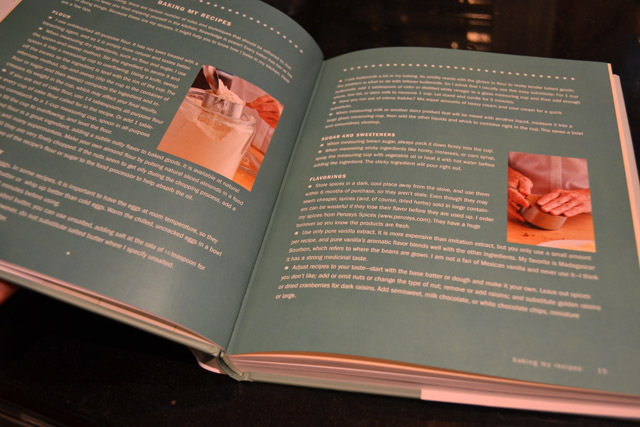 I was drawn to so many different recipes because of their ease. 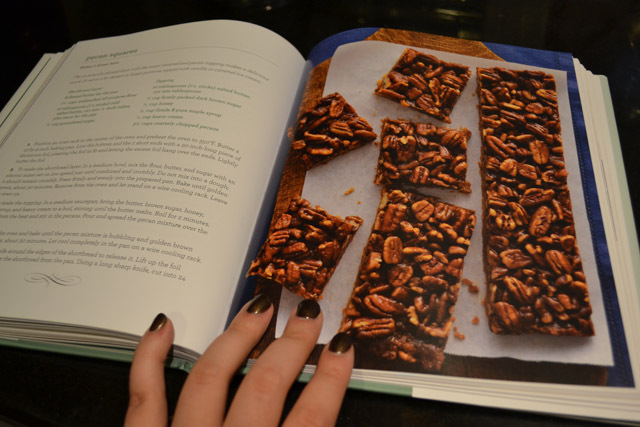 I love baking but I love to find simple recipes because I am so busy I just can’t spend so much time of something that I don’t eat. I’m glad Kathleen focuses on keeping her recipes simple but delicious. 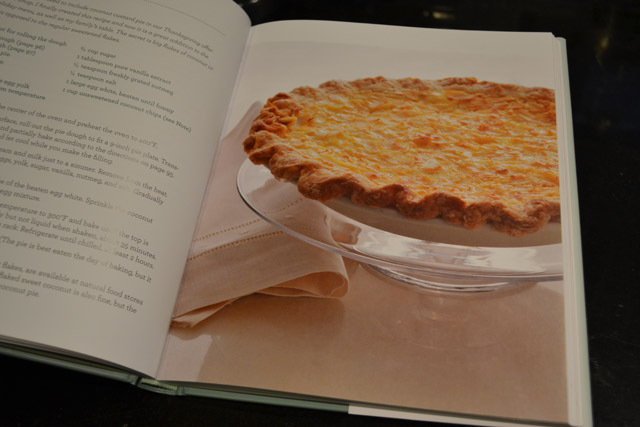 The book has over 120 recipes of muffins, scones, quick breads, pies, cupcakes, and cookies. 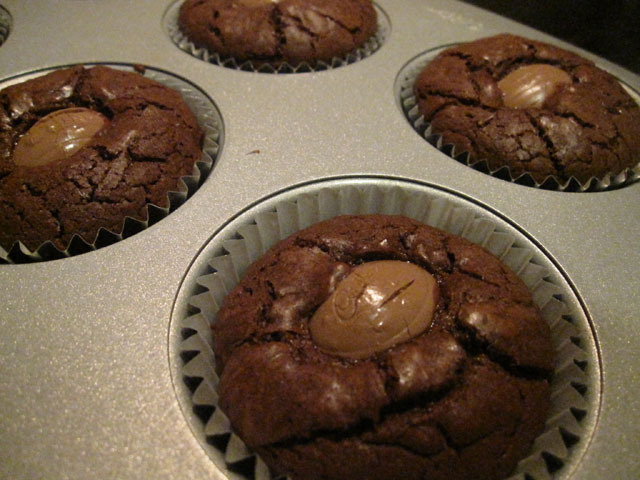 Out of all of that I was really struggling to decide on Rocky Road Muffins (pg 31), Apple- Italian Plum Deep Dish Pie (pg 69), Brownie Pie (pg 71), and Pecan Squares (pg 138). I finally decided on the brownie pie and I think I made a great choice. 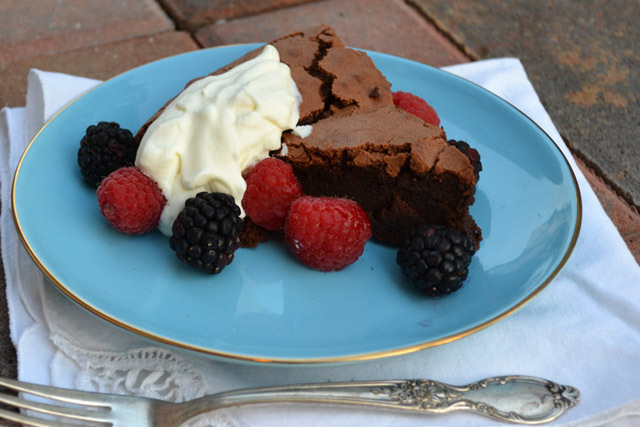 The Brownie Pie is a really simple, really rich dessert. 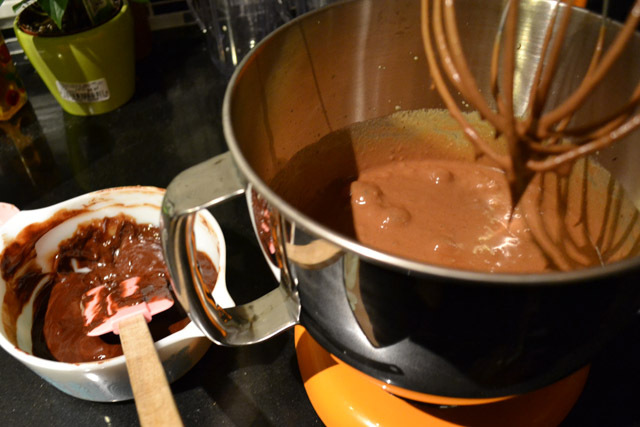 Just a few ingredients and a few minutes of manning the mixer and you’re on our way to a chocolaty delight. This really works for any number of people as it’s great for sweets addicts to chocoholics and people who keep to a gluten free diet. It covers all bases and does so perfectly. The recipe calls for even more chocolate stating that a slice is to be served with a smear of nutella and whipped cream. I served this with some whipped cream and fresh raspberries and blackberries since I just wanted it to be a tad bit lighter when serving it as the pie is so rich. Grab yourself a glass of milk and a slice and enjoy! Preheat the oven to 325 degrees. 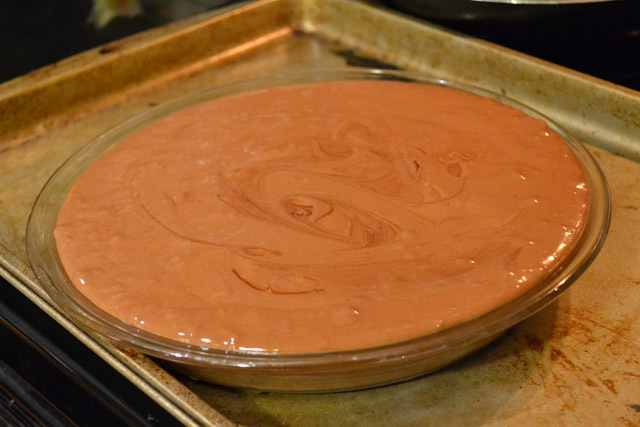 Prepare a 9-inch glass pie plate by lightly buttering it. 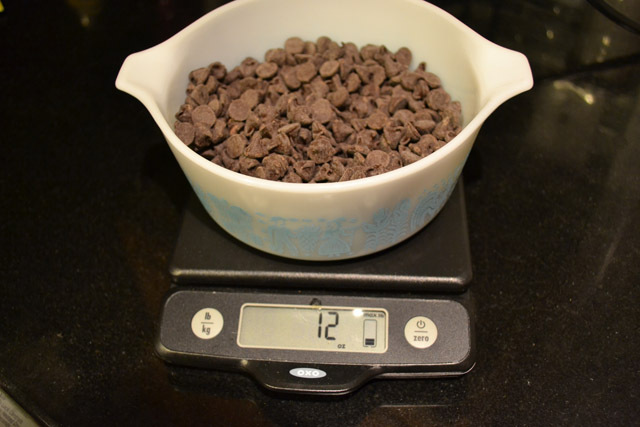 In a microwave safe bowl combine the chocolate chips and pieces of the butter. 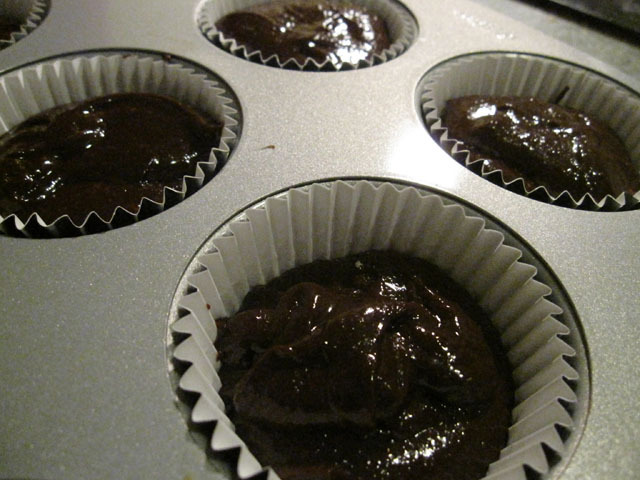 Microwave on 50% power for 2 minutes, stir the chocolate every 30 seconds. 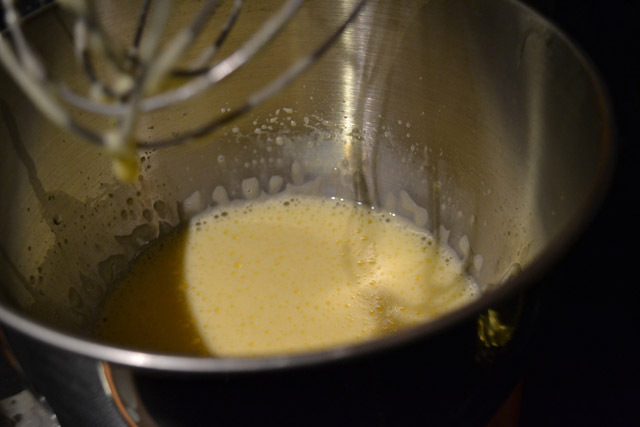 In a large bowl or stand mixer, beat the eggs on high until thickened and light in color, about 3 minutes. Add the brown sugar the mixture is light and fluffy. 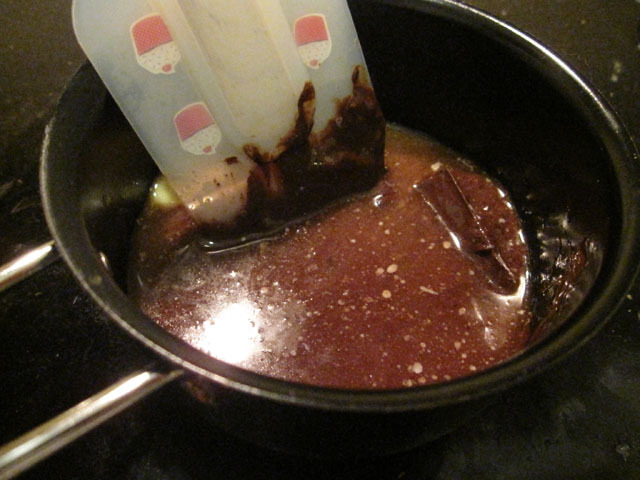 Incorporate the melted chocolate. Pour into the prepared pie plate. 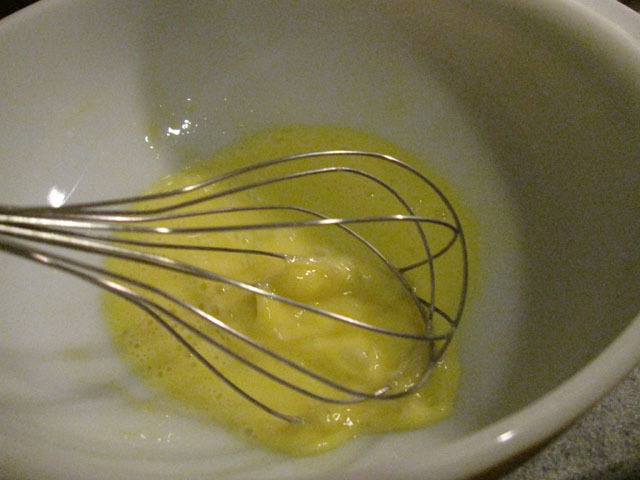 Bake for 45 minutes, or until a toothpick inserted in the center is clean upon its removal. Let cool on a wire rack. Serve with whipped cream, berries, caramel sauce, or nutella. These brownies make for a fantastic Easter treat. The brownie is individually sized so it makes for a great to go treat. The kind of goodie that is easily wrapped and slipped into an Easter basket. Or if you are ‘too old’ for a basket, you can just enjoy them because you are an adult and should have nice things. 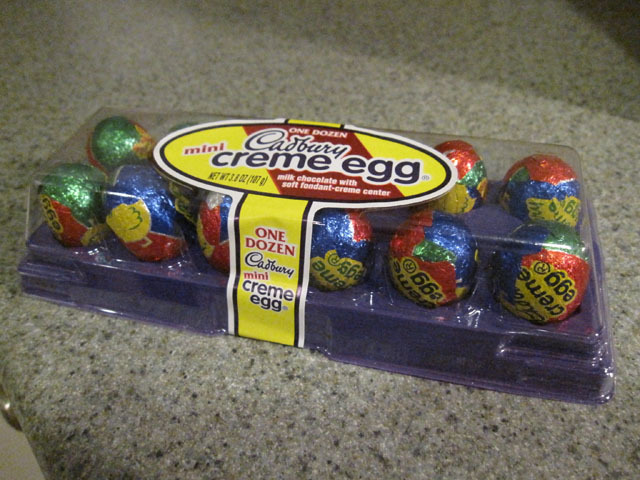 I really truly love Cadbury Creme Eggs. I love that they are around for such a short period of time. It makes them even more desirable. I stick to the classic creme eggs, just can’t get me to touch their caramel egg. I don’t get the point. It’s like a caramel milky way… oh don’t you mean a caramel filled chocolate bar that is no way similar to a milky way?!? I think that classics should stay classics. So that is why I indulge myself with the creme eggs for this short period of time. 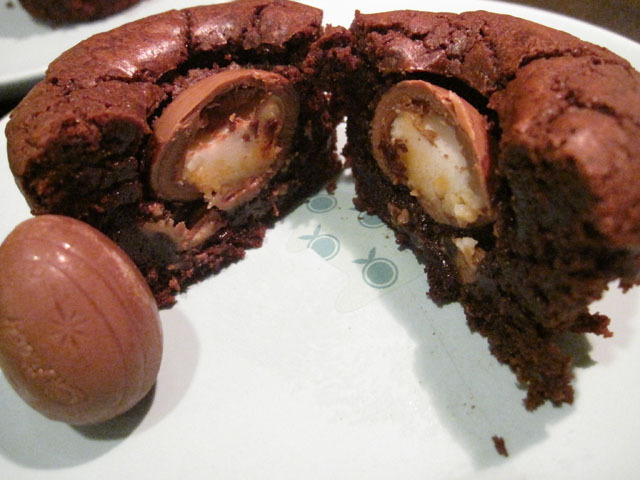 The brownies are best eaten right away because it will allow you to bite into the ooey gooey creme egg. 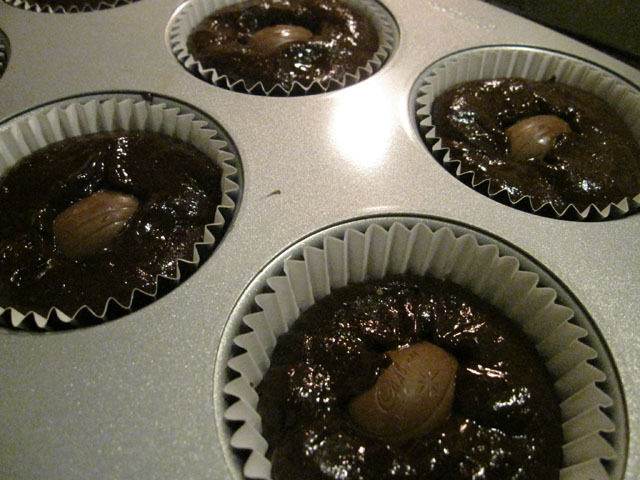 The brownie is rich and dense, so the egg will not sink to the bottom. The egg remains intact and is perfect to cut in half. It just looks so sweet. Typically, you test the readiness of a baked good by inserting a tooth pick and if it’s clean upon removal the cake it done. However, you can’t insert a tooth pick into the center of this treat because it would provide an inaccurate picture of it’s doneness because you would be testing the melty egg, and not the brownie. The brownies are so small that gently touching the top will be a good enough indicator. Preheat oven to 350. Line 6 muffin cups. 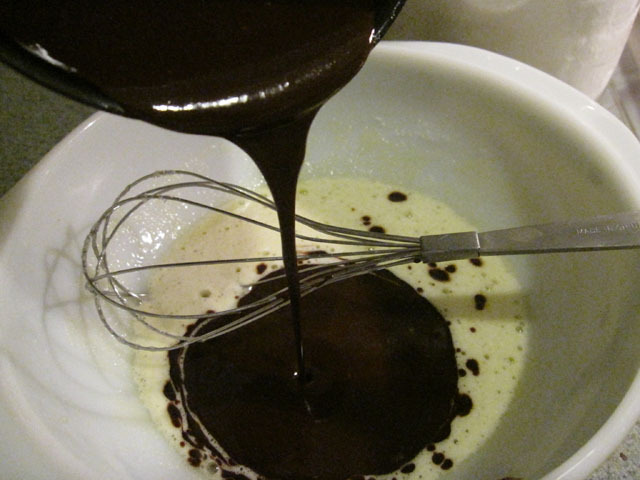 Melt the chocolate and butter together in a double boiler, or over very low heat. Cool. Slowly add the chocolate mixture into the egg mixture. 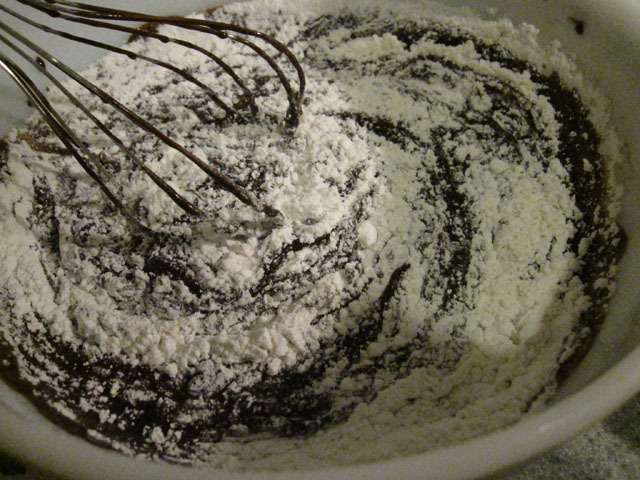 Add in the flour and gently combine. 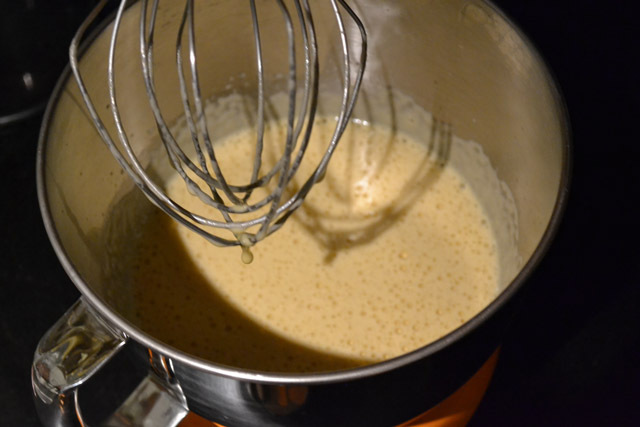 Divide the batter evenly into the 6 liners. 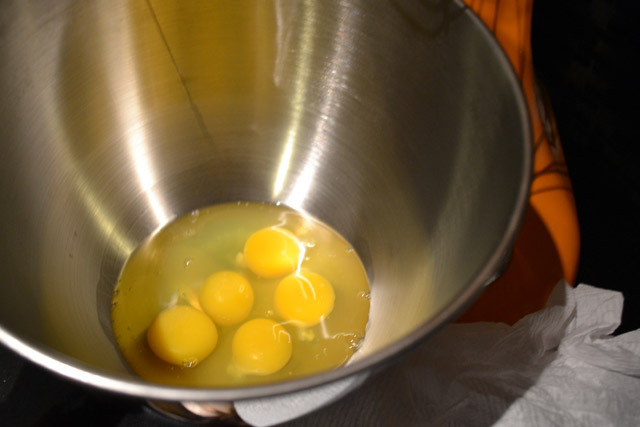 Put 1 egg inside each brownie, slightly less than half should remain exposed. Bake for 13-15 minutes. Top should appear done while egg is soft looking.